Android multi tools v1.02b unlock all android devices pattern lock (Micromax, Samsung, Lg, Lenovo, Sony Xperia, Karbon Etc.). You just need to connect your Android phone to this tool using a USB data cable. Android multi tools v1.02 available here for free download for PC. Android Multi Tool is for all the android mobile's and tablet's pattern lock remover latest version for free download for Windows. It’s the best Windows flashing tool for all android mobiles to flash by using your PC. You don't need to go market or any other place where such services are available. By using Android multi tools anyone can flash their Android mobiles pattern which he/ she have forgotten. Android multi tools software this update is released with many new and updated features. You are able to use this features after installing this tool on your PC. This is only and best tool for unlocking android pattern locks. 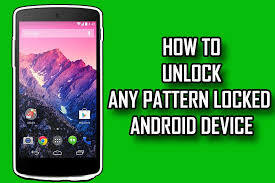 So if you want to unlock your phone pattern then install Android multi tools software on your PC and unlock your phone locks simply. To start downloading of apk click on below button. So get start here to run download the latest version here.